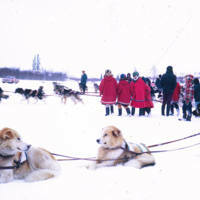 The image shows the ‘Ice Worm’ Dog Races in Inuvik. 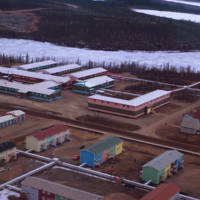 The image shows a aerial view of Inuvik that shows the colourful houses of Inuvik. 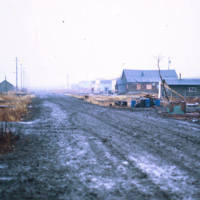 The image shows the muddy roads of Aklavik and some other buildings. 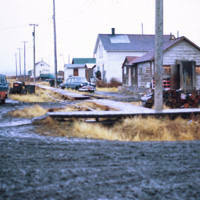 The image shows Aklavik Housing along with wooden side walks and some vehicles. 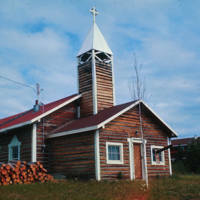 The image shows the Anglican Church in Aklavik. 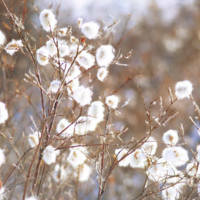 The image shows arctic cotton on the land somewhere. 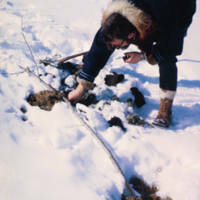 The image shows a man baiting trap line at muskrat house in the winter. 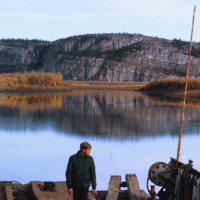 The image shows a barge on the Mackenzie River with Frazer Hunt on it. 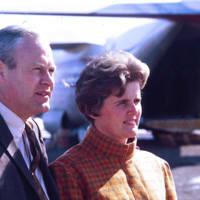 The image shows Dr. Norris and Mrs. Hunt getting ready to board the C-130 to Edmonton. 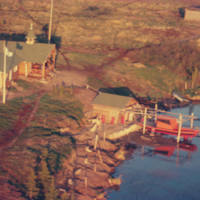 The image shows Steven Frost’s Cabin in Old Crow. 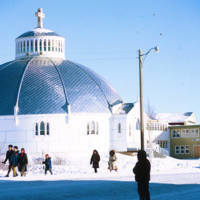 The image shows the catholic igloo church in Inuvik, along with another building. 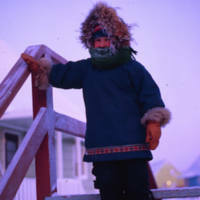 The image shows a child climbing the stairs over an utilidor. 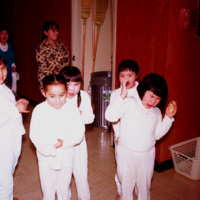 The image shows a bunch of children’s at a Hostel with two adults. 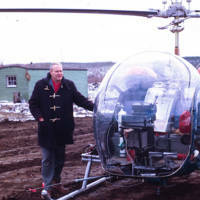 The image shows Dr. Hunt with a helicopter transport on a road way. 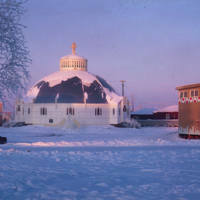 The image shows the igloo church and another building in Inuvik. 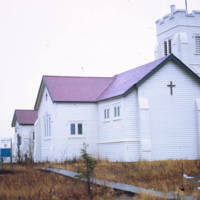 The image shows the St. Luke’s Anglican Church in Old Crow, still standing in 2005. 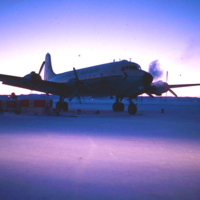 The shows a DC-3 on the runway at a airport in the winter. 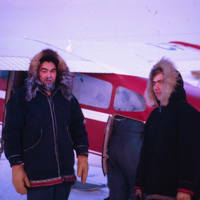 The image shows two crew of reindeer Air Service Dennis Hansen (left) and Bob Mackenzie. The image shows a few building in Coalville Lake in the summer time. 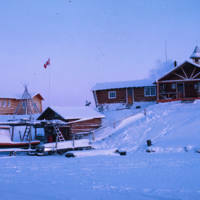 The image shows a few building and that its winter in Coalville Lake. 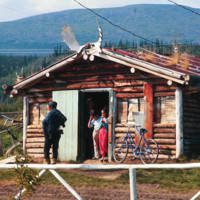 Images of people, places and activities in the Inuvialuit Settlement Region (ISR) donated by the family of Dr. Hunt.